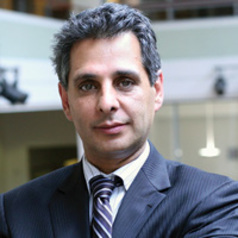 Walid Hejazi is an Associate Professor of Economic Analysis and Policy, and Academic Director, at the Rotman School of Management. He has researched, advised, and testified extensively on global competitiveness, and is currently working on a series of studies which shed light on the competitiveness and productivity of Canadian firms. He teaches Macro and Global Economics in Rotman’s MBA and EMBA programs, and has also delivered lectures in over 30 countries. Walid has also developed and teaches a successful MBA course in Islamic Finance, the first such course in Canada. He is extensively involved in enhancing the prevalence of Islamic Finance in Canada http://www.tfsa.ca/storage/reports/Canada_Islamic_Finance_2016.pdf. He is currently writing a book on Islamic project finance, and has several ongoing research projects in the area.